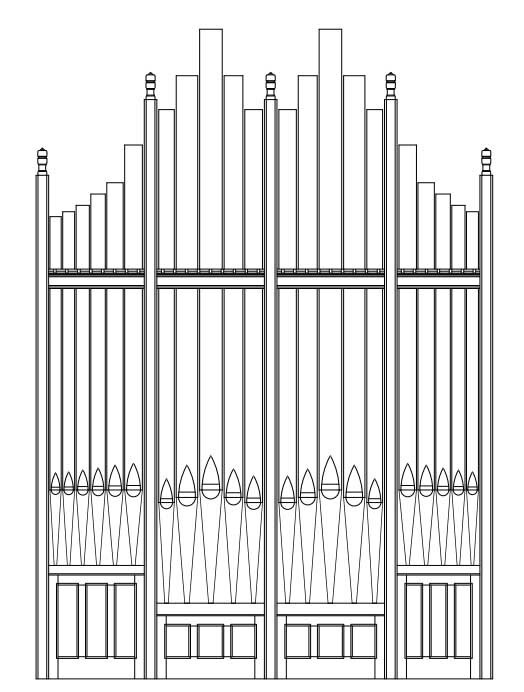 The organ has been enlarged over time to meet the needs of the congregations it has served. The attached chart shows the changes to the specification since it was built in 1882. 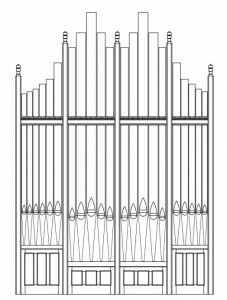 You can also read about the technical history of the organ during its time in Edinburgh. When the organ was in St George's Church it had proper casework for the front pipes. When it was installed in St Mary & St Giles Church, the front pipes were not displayed in casework and were painted white. As part of the 2014-2015 restoration work (but not funded by the Heritage Lottery Fund) we had proper casework designed and built which enhances the appearance of the organ and makes the pipes more secure (the white paint was removed and the pipes were painted a light gold). The new casework (which is designed by FH Browne & Sons with elements of the original St George's casework design included) cost £25,000 so organ fund concerts are raising money to cover this cost. If you wish to make a donation towards the casework please use the donation option on the pipe sponsorship form.